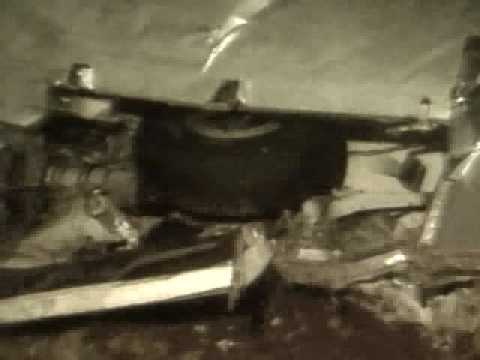 Pan Am Flight 103, also commonly referred to as the Lockerbie bombing, was the bombing of a Pan Am transatlantic flight from London Heathrow Airport to New York's John F. Kennedy International Airport on Wednesday, 21 December 1988. 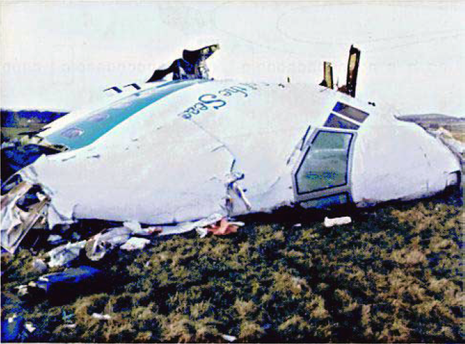 A Boeing 747–121, named Clipper Maid of the Seas, was destroyed by an explosive device killing all 243 passengers and 16 crew members. 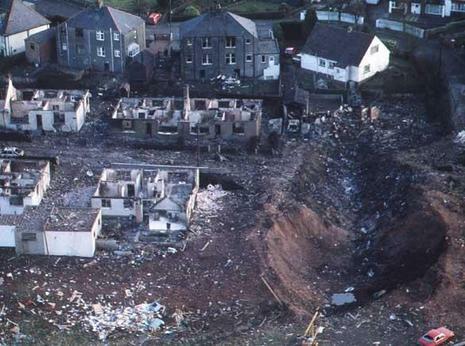 Large sections of the plane crashed into Lockerbie, in southern Scotland, killing a further 11 people on the ground. 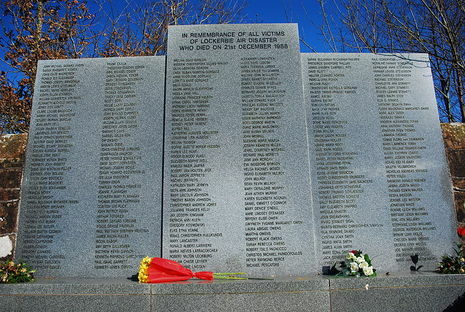 Following a three-year joint investigation by Scottish police and the U.S. Federal Bureau of Investigation, murder warrants were issued for two Libyan nationals in November 1991. Libyan leader Colonel Muammar Gaddafi eventually handed over the two men for trial at Camp Zeist, Netherlands in 1999 after protracted negotiations and UN sanctions. In 2001 Libyan intelligence officer, Abdelbaset al-Megrahi, was jailed for the bombing. In August 2009 he was released by the Scottish government on compassionate grounds after being diagnosed with prostate cancer. He died in May 2012 remaining the only person to be convicted for the attack. In 2003 Gaddafi admitted Libya's responsibility for the Lockerbie bombing and paid compensation to the victims' families though he maintained he never personally gave the order for the attack. During the Libyan civil war in 2011, a former government official contradicted Gaddafi claiming the Libyan leader had personally ordered the bombing. Despite these assertions, numerous conspiracy theories have developed regarding responsibility for the destruction of Pan Am Flight 103. A Pan Am jumbo jet with 258 passengers on board has crashed on to the town of Lockerbie near the Scottish borders. Initial reports indicate it crashed into a petrol station in the centre of the town, between Carlisle and Dumfries, and burst into a 300-foot fireball.